#360723 Sponsor Stimulus Competition 2016. Big thanks to PCS and all the sponsors. 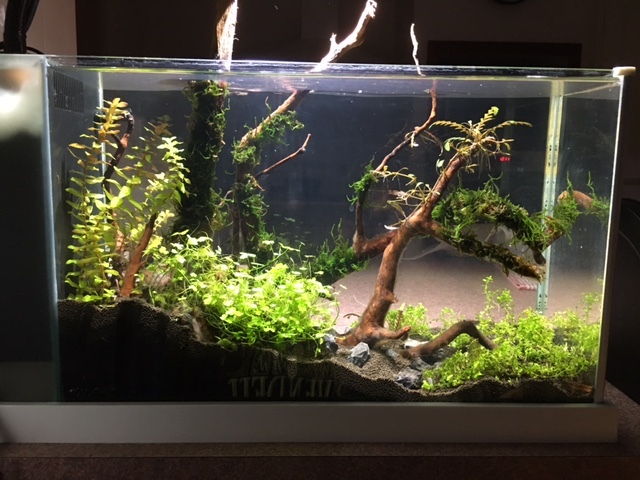 The tank has been set up for a week now and looks great. Not bad for 19L. Hope you like it. Wow! Beautiful pair. I would like to keep these guys one day. I think I still need more experience with agro fish first though. Thanks for all the amazing fish Terry! Great to talk to you and see your staggering fish room. Come and grab a bargain everyone. So many great fish that won't last long at those prices!